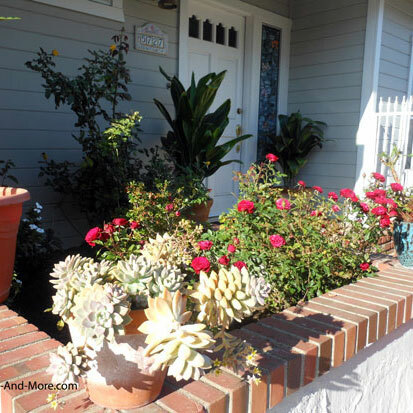 Try adding container gardening as part of your porch and yard landscaping projects. 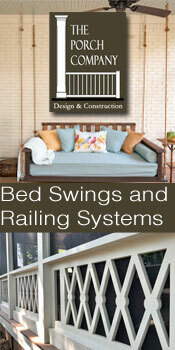 It is a great for both large and small spaces (any size porch works!) 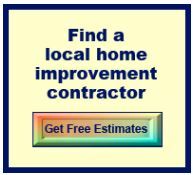 and works easily for homeowners or renters. It is fantastic whether you are a novice or experienced gardener. You can eat what you grow, highlight particular plants, or add plenty of curb appeal. It is also a great kids project as well. 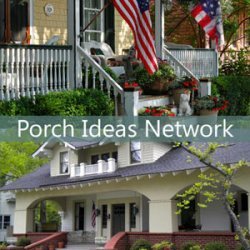 You can turn your porch and the surrounding area into something really special. 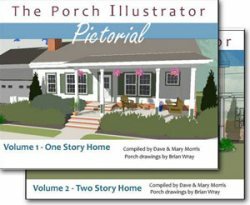 We found some ideal porch gardening containers that will work well on any porch, deck, or patio. Grow a garden of fresh vegetables, herbs, flowers, and even fruits. And, you don't need a lot of space. This is easy; almost anything goes. 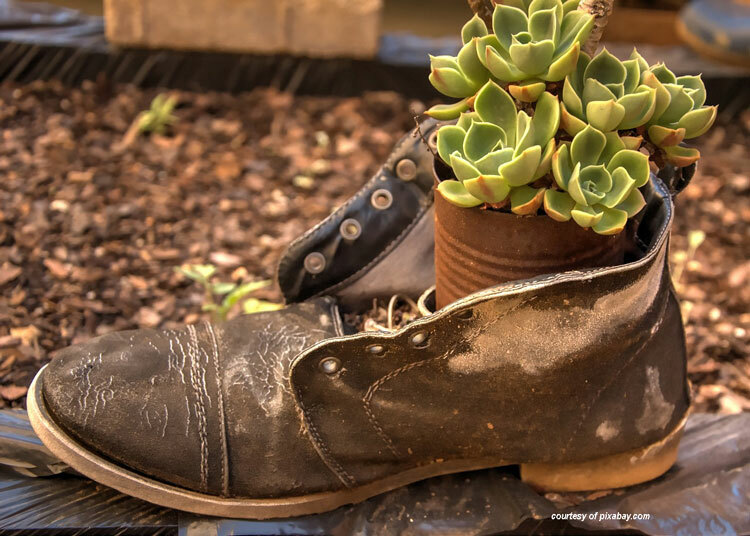 Use clay or terra cotta, plastic, ceramic pots, planter boxes, wire or wood baskets, cement blocks, an old wagon or perhaps an old boot. The only thing you don't want to do is use a container that has been treated or has held toxic materials especially if you are going to eat the fruits of your labor. We've found that self-watering containers work really well and can be cost effective as you are more unlikely to lose your plants. Self-watering garden containers come in a variety of styles to suit almost any requirement. 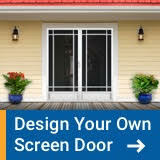 Now you can leave your home without losing the investment you've made in your plants. This self-watering module planter is built to handle fruits, vegetables, herbs, and flowers. You can add as many as you need. You can turn almost any size pot with a drainage hole into a self watering container with this pot reservoir device. 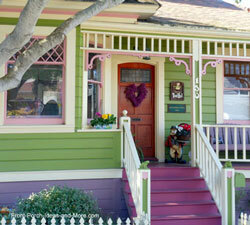 Have a favorite container you want to use on your porch? Easily convert it to a self-watering planter. An automatic water drip irrigation device so you can enjoy your vacation. 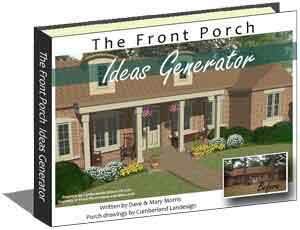 Gardening on your porch has never been easier. 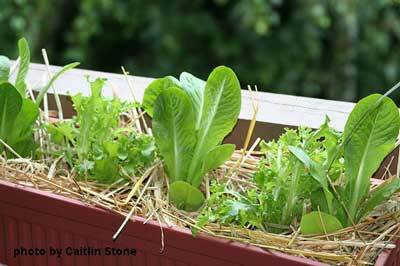 Container gardening allows you to grow lots of food (and other foliage as well) even in the smallest of spaces. Don't have a lot floor space? Then grow vertically. 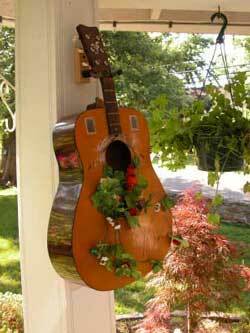 Or, use hanging planters from your porch railings or compact tiered planters in a corner. 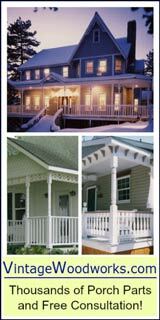 Porch planters come in a variety of styles, colors, and materials; one of which is sure to create lots of porch appeal. From typical clay, plastic or ceramic pots to everything out of the ordinary, you can easily grow lots of different types of vegetables, fruits, and herbs. We recommend you check out this book on container gardening by best selling author Ed Smith. Whether you are an experienced gardener or just want to try to see if you have a green thumb, this book may be for you. Another great option for porches and other areas are vertical gardens, especially if you don't have room for other types of planters. Use them to grow flowers for color or vegetables for the table. Perfect for small and large spaces alike! 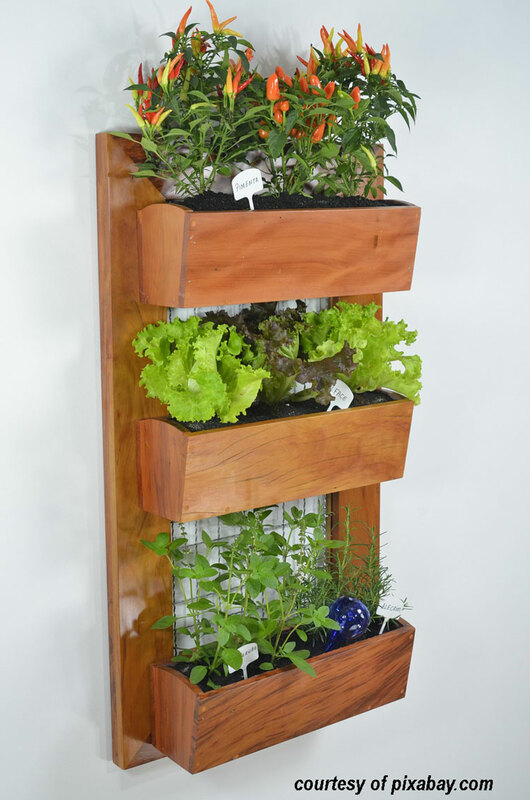 We even found a self-watering vertical planter that's perfect for container gardening. Proper drainage is important for two reasons: First, plants do not grow well in water-logged soil and second, roots need air. Too much water and the plant can not get enough oxygen for growth. Make sure your container has drainage holes and if not drill several in the bottom. Also make sure that the holes do not become plugged; otherwise, you defeat the purpose of the drainage holes. We like to place small to medium size stones in the bottom so water can flow out the drainage holes. Porous containers lose water quickly and allow for excellent air movement whereas non-porous containers hold water making drainage holes that much more important. 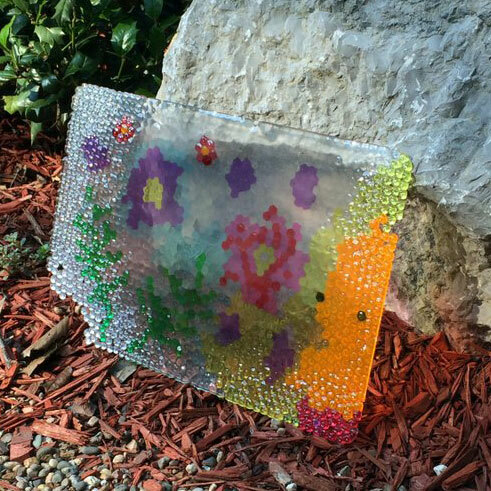 Use an insert if you have a decorative container without holes. Although I still prefer to drill holes in the bottom with a special drill bit made for ceramics. Here is what I love about container gardening. It is really inexpensive. You can find containers either around the house, at thrift stores, or neighborhood garage sales. 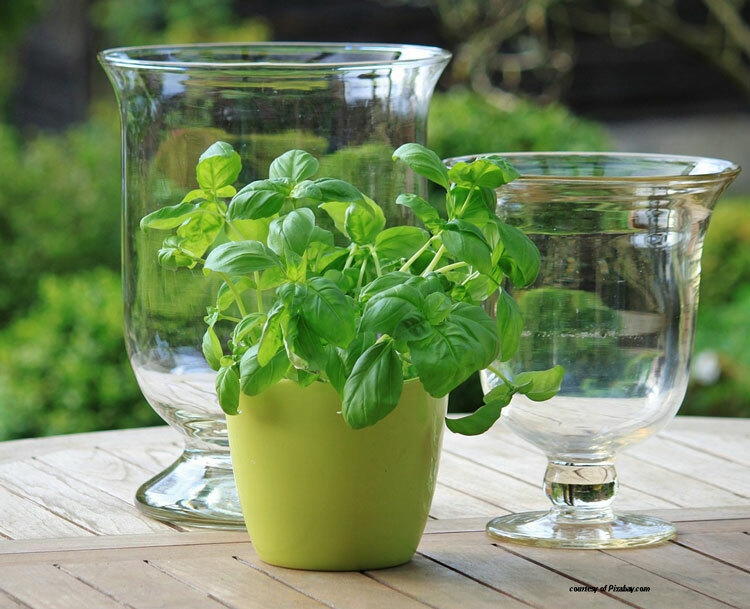 Grow your healthy herbs and plants from seeds. Porous containers degrade quickly if exposed to moisture and freezing temperatures. Porous containers need to be moved indoors to prevent cracking during the winter months for those who live in such climates. Non-porous containers are hardier but as a rule are more expensive. They are great for early growing seasons for lettuce or pansies as they can withstand temperature fluctuations more easily. Make sure the container is appropriate for the plant when grown. Vegetables like tomatoes, peppers, cabbage, and beans need at least a five-gallon container. Beats, onions, and lettuce need at least a three-gallon container. Healthy herbs need less; a gallon container will do. Flowers as a rule need a larger container based on the height. Taller flowering plants need more root space. Different vegetables require different types of soil. Doing a little research before you plant will help ensure you maximize your plant's food production. Potting soil contains various percentages of sphagnum peat moss, vermiculite, perlite, pasteurized soil, and composted manure. Do not use native soil as it will contain clay which will compact the roots in a container. 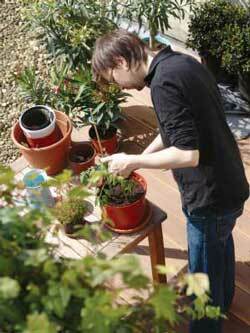 Try not to reuse the potting soil from the season before as it may contain diseases. Another option is to use soil-less mixes which are two to three times lighter. We are told you can add about 10 percent of coarse sand to add weight for heavy plants. 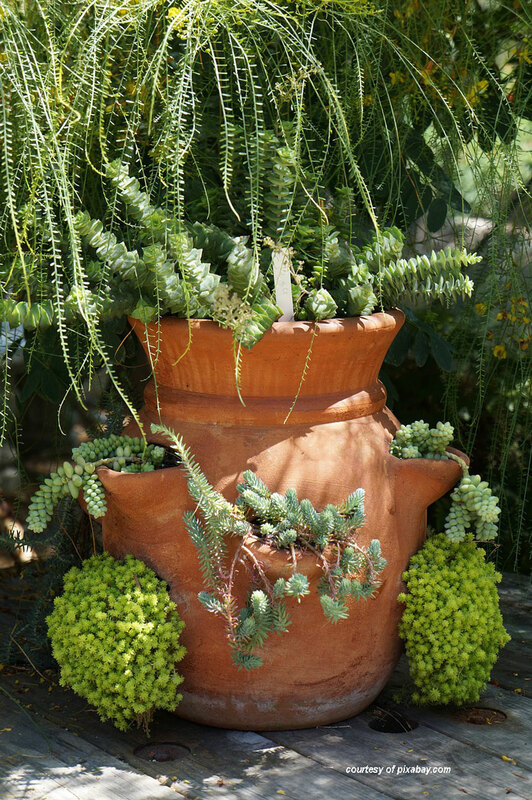 Container gardens need more water than other planting situations. The exposed sides of the container wick away more moisture. Plastic and ceramic do not dry out as fast; however, they will still need additional water. Do not allow the containers to become dry as the finer roots will die. One option is to use water-holding polymers or gels mixed with the potting soil. They help to hold water longer and may extend the time between watering. Self-watering pot systems and devices (discussed above) ensure the plant receives adequate water. If you live near the mountains water may contain higher levels of salt or carbonates which can cause issues. Excessive salt is damaging to plants and causes burned leaf edges, stunted growth, and fewer blooms. 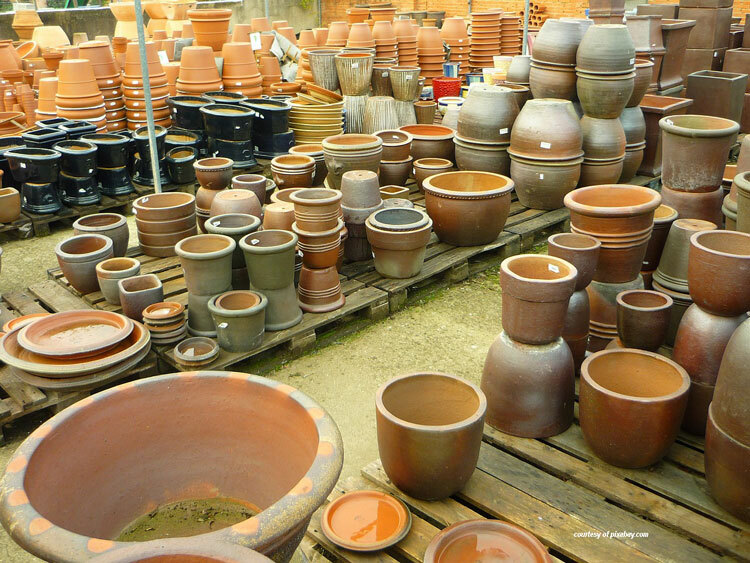 Plants in containers grow quickly and deplete the available fertilizers. To combat this, mix controlled-release fertilizer granules into the soil mixture when you plant. 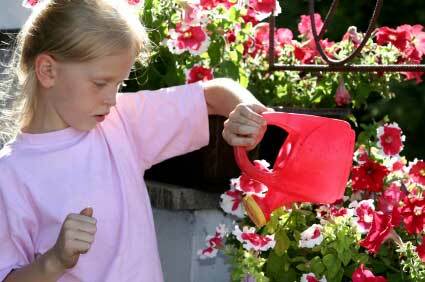 Again, research the specific type of fertilizer required for your specific plants. Don't select plants until you know the specific location you will place them and how much light they will receive. Don't mix plants with different light requirements either. Most nurseries will be able to tell you how much light a plant needs. Seed packets usually have the light requirements listed on the package. The portability of containers allows you to move them to more desirable locations to take advantage of light conditions. Take reflected light into consideration. Light coming off your house or the sidewalk may be damaging to the plants. For planning purposes flowering plants, water plants, and vegetables require at least six to eight hours of sunlight each day to grow well. Root vegetables can do well with six hours; leafy plants and herbs should get at least four hours. Some foliage plants need filtered light or shade. Cat writes: "For those of us without a huge garden space (like me and my sweetie), we have to get more creative. This is a lettuce box, mounted onto the banister on the porch at our apartment. Notice the hay sticking out everywhere? Hay is much-neglected in gardening, despite that it keeps the soil moist, keeps weeds from sprouting, produces nice oat grass (that kitties love!) and acts as an insulating blanket to the plants." Deadhead blooms and harvest herbs and vegetables regularly to prolong the life of the plants in your container garden. Stake or cage vegetables like tomatoes and sunflowers.